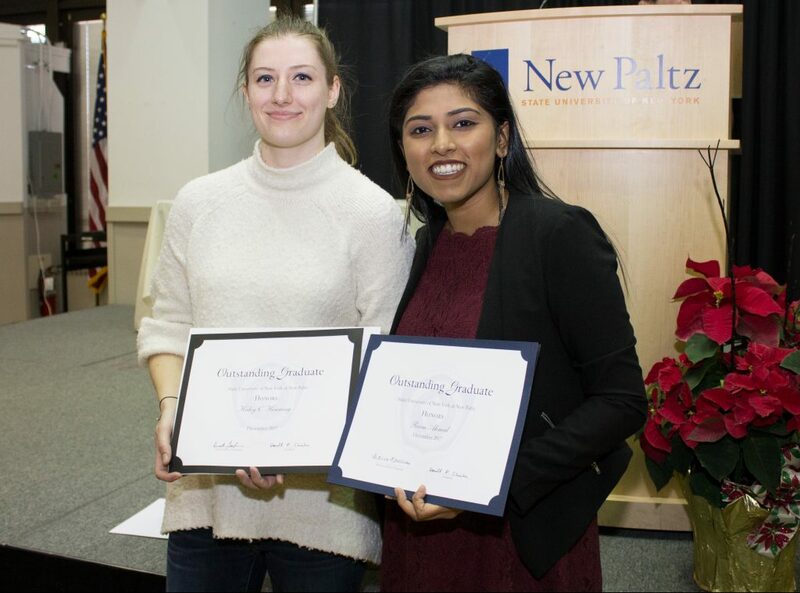 SUNY New Paltz continued its long-standing tradition of honoring the most exemplary members of each semester’s graduating class at the Outstanding Graduates ceremony on Dec. 14. The occasion provides a rare and valuable opportunity for faculty mentors, close family and friends to come together and recognize the dedication of select undergraduate and graduate students who performed at an exceptional level in the classroom, independent research, internships and jobs, and leadership positions. Students representing all five of New Paltz’s schools – the School of Business, School of Education, School of Fine and Performing Arts, College of Liberal Arts and Sciences and the School of Science and Engineering – as well as the students pursuing upper-level degrees through the Graduate School, were named Outstanding Graduates this semester. 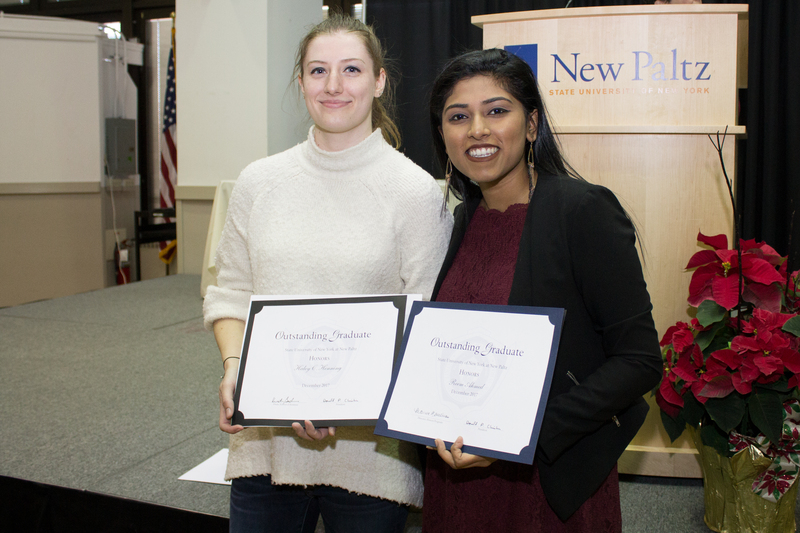 Please visit the College’s student achievements page for information about the fall 2017 Outstanding Graduates.